Ardent's half yearly results are up. @Richard Didn't Ardent Leisure have a name change? Thanks @Skeeta. A crowd of 10000 on the 28th of December is impressive and very happily didn't visit that day. Can someone please explain why Ardent don't have Main Events in Australia? Please don't say Kingpin/Playtime (I have 1 nearby at Westfield Chermside) they are not on the same level. "Prudent" spending & "not entering an arms race with our competitors" were the two things that stuck out in my mind from listening in to the half yearly results. Didn't Ardent Leisure have a name change? It’s a shame to hear that the new chairman doesn’t seem too keen on investing decent sums of capital, despite his earlier comments. However, a new flying theatre, waterpark expansion and dark ride are certainly not nothing. They might not be the world class coaster that DW needs, but taken together they will be a really positive step forward... if they all happen. Perhaps not enough credit is being given to these ideas. One issue that concerns me is the way they are speaking about a refresh as if it’s almost a one off thing. The nature of theme parks is that you must continually invest, every few years or so. DW needs to take a number of actions simply to get back to a decent base line, then continue to add strong attractions every few years after that. Very well said GGB - and sadly - in the time it takes them to reach a baseline - the baseline will have moved due to the continual change required. 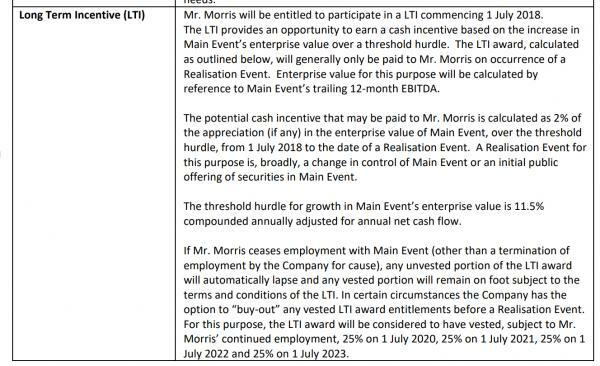 The prevailing theory (and it hasn't been confirmed which is stranger still) is that the reason why Ardent could afford an i-Ride at all is because Brogent are doing a lease agreement and because of that, they're not paying a lot upfront. They get to look like they're spending big, even though they're not. In the most basic terms, what gets people to do repeat visits over summer is the waterpark, so you could add in a lazy river or some basic slides for next to nothing in comparison to thrill ride capex (hundreds of thousands verse millions) and probably realise better profit numbers all round because people will buy more food, more merch etc. upon each revisit. It's a cheap justifier in raising prices all round when the reality is you're still not spending the same money that everyone else is spending. The fact that they're looking into selling the land is telling - it's ultra clear they have no interest in long term expansion or adding major attractions, but to be fair that's been the case for over two decades. You know what that land could be used for? An on-property hotel and a major coaster. The fact that they're not being open about their master plan despite saying they had one and will share it when Weiss strong-armed the board last year is telling. Sounds to me like they'll be able to sell the land, make huge bank from it, and then when they sell the park they'll get a higher price because they'll be able to justify that "the new land-owners are developing x and y and will bring more value to the park's potential to serve more local tourism blah blah blah." They're being super open about pinching pennies to realise certain numbers. Why? Gee, I wonder. The Wonderland phone called, someone said something about the kettle being black? 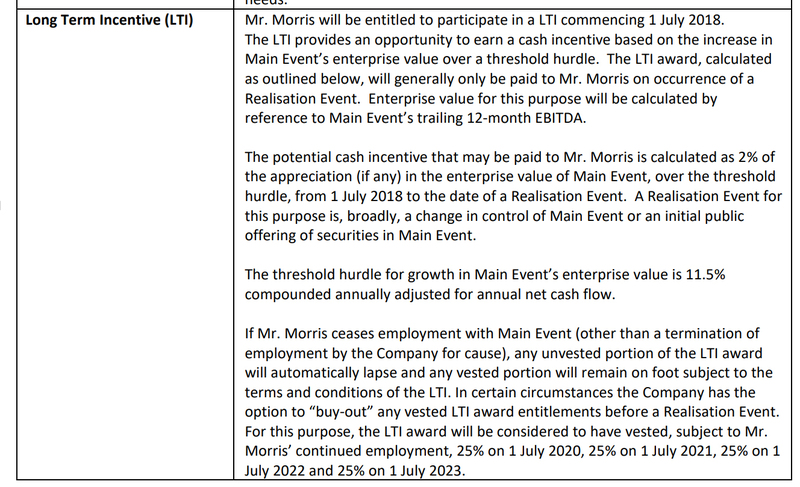 Whereas other executives at Ardent Leisure have long term incentives that are in the form of securities (or previously cash equivalent for US-based executives), Chris Morris has a cash incentive that is based on the value increase of Main Event should it either be sold or listed as a separate company in an IPO. I’d like to know how you’re reading into it, Richard! Dude, it's a park that no longer exists. Its very different to critiquing current and ongoing operations. I wasn't saying you had a bias, I was pointing out that you just showed very good reasons why some people think you do. Dude, it's a park that no longer exists. You say that like you're not a part of a society that preserves Wonderland History. I wasn't saying there was irony, I was just pointing out that some people might think that's rich coming from a guy who finds a way to fit Wonderland into every topic. I'm not denying my involvement. And sure, I do relate it to topics where it is relevant - but that's because its a park i'm most familiar with. It's not like i'm just randomly starting threads about the park all the time... that'd be weird. Agreed, that’s more of a @Richard / @Parkz News thing.